This is one of those I need to read again and again and again. Because honey, sometimes that crazy starts to get to you. But then you realize, "Oh, yes, even this can be my teacher." And you shift and set boundaries and choose love and open your heart and sometimes even walk away. 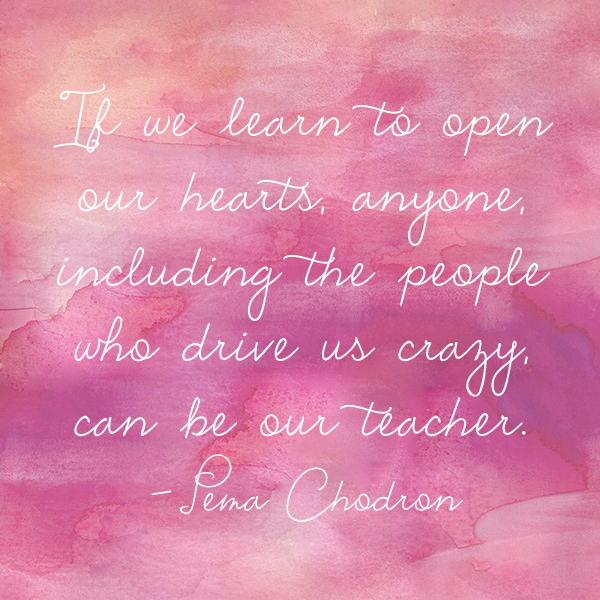 Pema Chodron would be a beautiful teacher to invite into your world in 2016. This is one of my favorite books by her that's all about loving kindness (for ourselves and others).